Legendary punk band The Bouncing Souls are known for their short, brutal tracks full of menacing guitars, vicious drumming, and Greg Attonito's powerful vocals. Attonito's solo album is a totally separate entity, leaving behind all aspects from his main project. The songs are acoustically based, with horns and keys sporadically placed into the tracks. However, the biggest change is the fact that Attonito's voice seems surprisingly fragile, a huge change for someone who usually sings with an endless fire. His emotions regarding love are poured out, especially in the extremely stripped down "Sexiest Girl", which reads as a 15 year old's diary, yet still feels powerful. Female harmonies increase the amorous feelings in "Teardrops", as even the most sophisticated arrangements on the EP are downplayed, leaving the main focus on Attonito's voice and lyrics. Even the toughest men have hearts, and Attonito succeeds with flying colors in putting down those misconceptions. 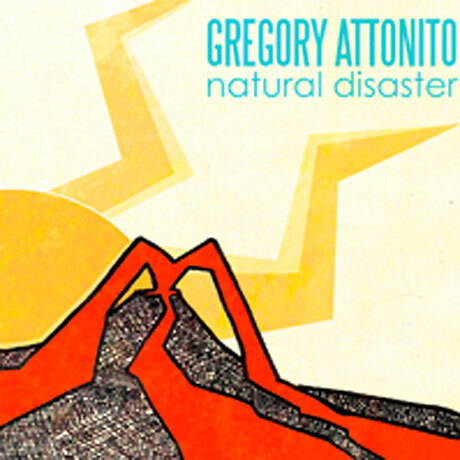 Natural Disaster just reassures Attonito's place in history as one of the most important frontmen in the last twenty years, as his legacy is moved beyond just punk music. You can pre-order the EP on the Chunksaah website here.